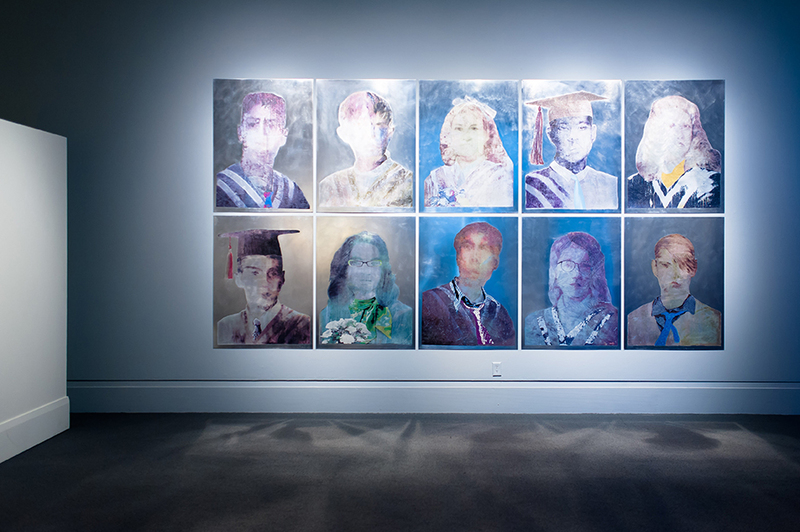 The haunting and sparse images on metal plates are imbued witha psychological charge informed by Filipiuk’ s 25 year career as an educator and observer of what Nirvana, singer and songwriter Kurt Cobain titled “Teen Spirit”. Szkola School, Main Gallery, Art Gallery of Mississauga. Photo by Janick Laurent.